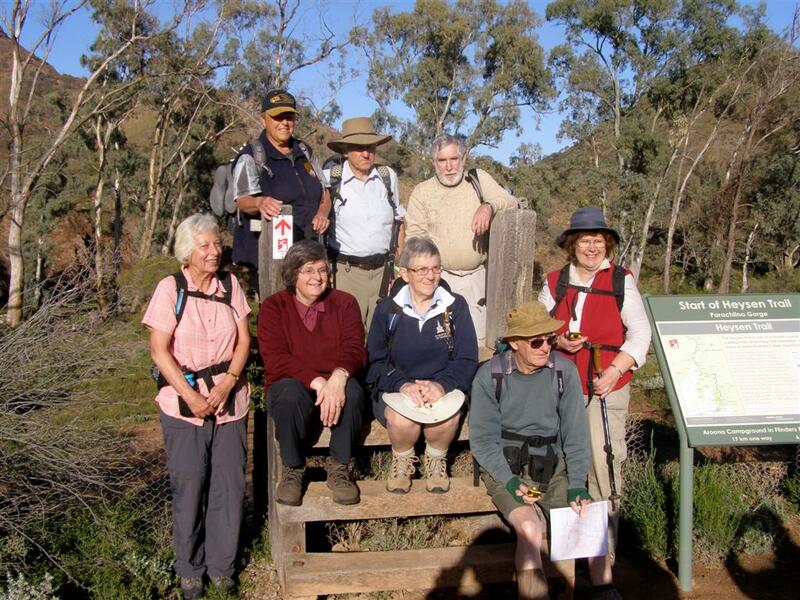 Early in 2010 a second group was formed at the request of the Camp Coordinator to walk the Heysen Trail Extension. 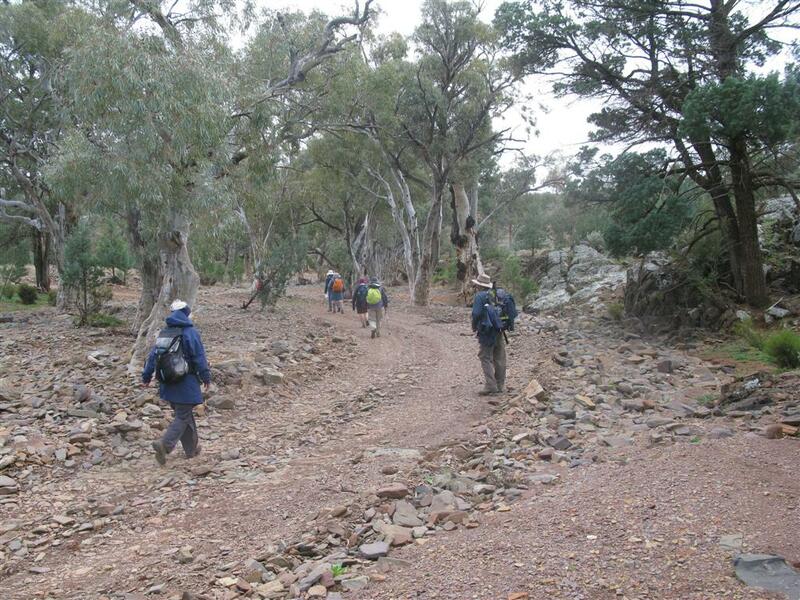 This walk followed the same route as that taken by the Heysen 8 group in September 2009. On 19 August the walkers met at the Angorichina Village in preparation for the walk. 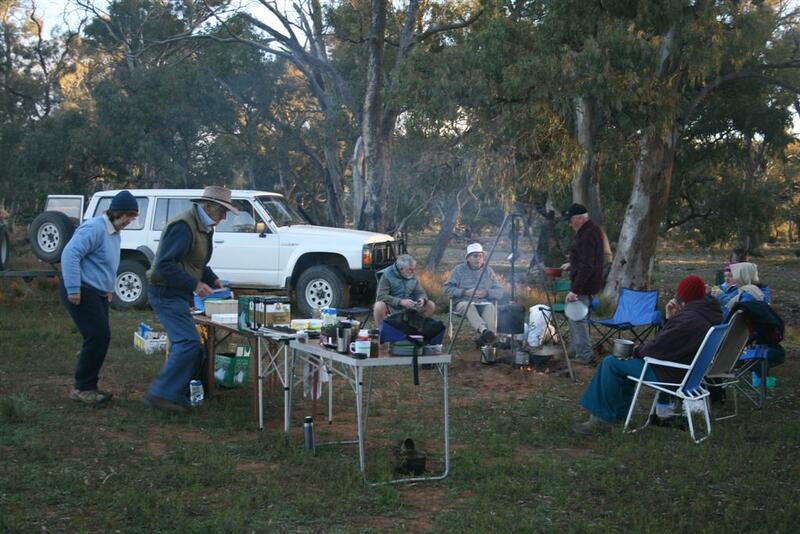 An enjoyable get together for the evening meal at the Blinman Hotel commenced the camp. 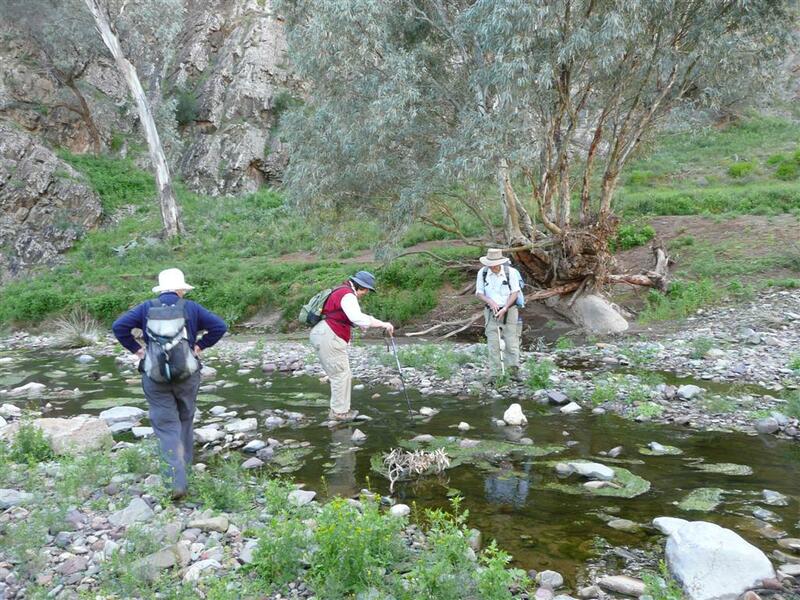 The following day the 8 walkers set off from the northern end of the Heysen trail at Parachilna Gorge. They walked the first 20 km up the beautiful tree lined Oratunga Creek which was mainly dry but had pools of water in various locations. The walkers were followed by the 3 support vehicles which carried food, sleeping gear and other necessary items. The vehicles drove on the adjacent road to a point near Oratunga where they set up the camp ready for the arrival of the walkers. 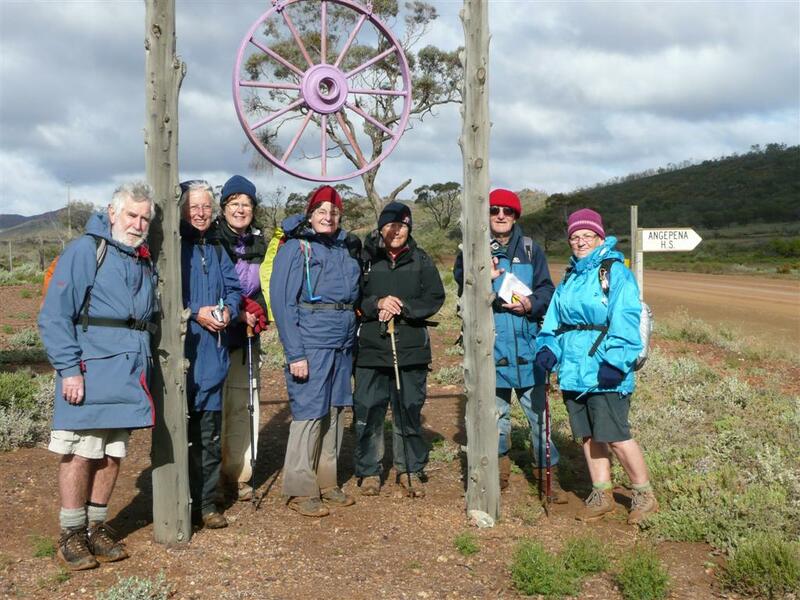 This pattern continued for the next 3 walking days and then they enjoyed a rest day at the Angepena Goldfields where time was spent relaxing and exploring the area including climbing Mt Angepena. 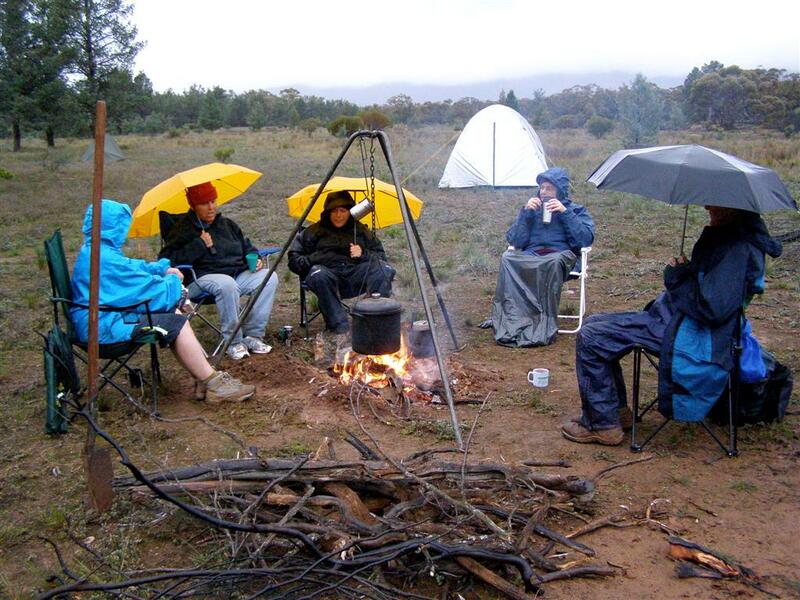 During the final 2 days of walking the group experienced some light rain and cold winds and enjoyed the luxury of staying in the shearers’ quarters at Angepena Homestead for these 2 nights.